Fish swimming over a bed of gravel. Cameras sent down the drilling hole also revealed an unsuspected population of fish and invertebrates living beneath the ice sheet, the farthest south that fish have ever been found. The surprising discovery of fish in waters that are extremely cold (-2 Celsius, 28 degrees Fahrenheit) and perpetually dark poses new questions about the ability of life to thrive in extreme environments. 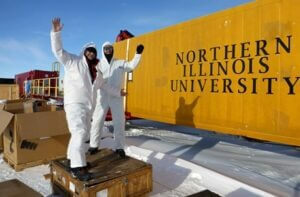 “I have been investigating these types of environments for much of my career, and although I knew it would be difficult, I had been wanting to access this system for years because of its scientific importance,” said Ross Powell, a chief scientist with the Whillans Ice Stream Subglacial Access Research Drilling (WISSARD) project and a geologist at Northern Illinois University. 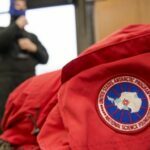 Other NIU members of the WISSARD collaboration include geology professor Reed Scherer and graduate students Tim Hodson, Rebecca Puttkammer and Jason Coenen. 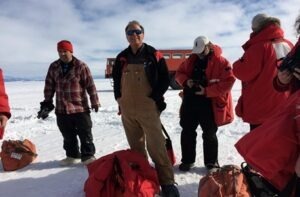 Using a powerful hot-water drill developed and built by the University of Nebraska-Lincoln, researchers punched through nearly 740 meters (nearly 2,500 feet) of the Ross Ice Shelf on Jan. 8, 2015 (local time. U.S. researchers in Antarctica keep New Zealand time). 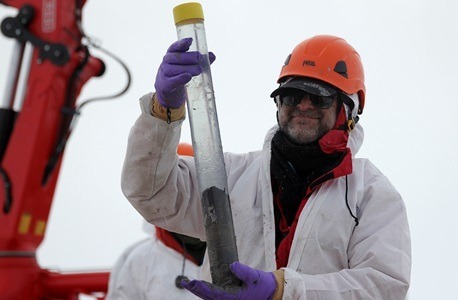 On Jan. 16, as more than 40 scientists, technicians and camp staff were working around-the-clock to collect as many samples and data as they could while the borehole remained open, the WISSARD team deployed a Remotely Operated Vehicle (ROV) called “Deep SCINI”–(Submersible Capable of under Ice Navigation and Imaging)–to explore about 400 square meters (4,300 square feet) of the marine cavity around the borehole. 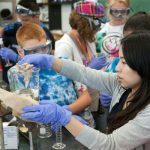 The ROV was developed at University of Nebraska, Lincoln. This part of the Antarctic continent includes Subglacial Lake Whillans, a shallow body of water located about 800 meters (2,600 feet) below the West Antarctic Ice Sheet, which periodically fills and drains upstream from this grounding zone. The WISSARD team investigated the lake two seasons ago. Fresh water from the lake is thought to eventually reach the seawater cavity at the present study site through a subglacial waterworks that may be similar to a coastal wetlands ecosystem — think an estuary and its surrounding salt marshes, but one that is covered by ice, and missing all the marsh grasses. 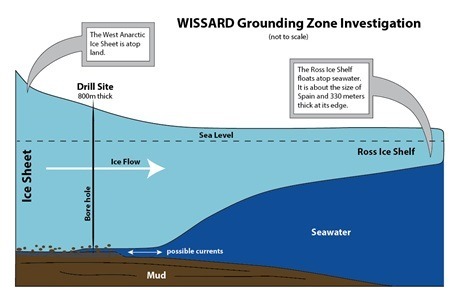 The ice sheet also delivers sediment called till to the grounding zone to perhaps influence ice dynamics and provide nutrients to this ecosystem. 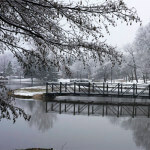 Previous story Will fracking in Illinois survive lousy timing? 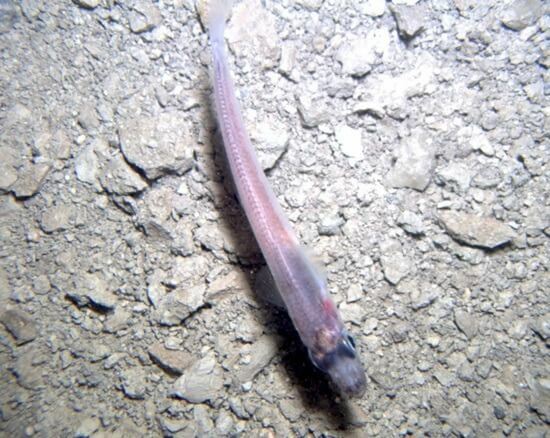 So I have a question about this fish seen under the ice in “perpetually dark” conditions. Why do they have eyes? Most organisms that I have seen in dark condition lose their site fairly quickly. So do these fish still have access to lighted conditions? It could be a vestigial trait that has been passed down through common ancestors. Much like how certain insects may have wings, but are incapable of flight.